Ever look at the long list of itemized fees on a car contract and have no idea what’s what? If the lines are blurring together and all you can see are the dollar signs on the bill, take a deep breath and keep reading. In this guide, we’re going to go over all the different types of dealer fees you may come across when buying a car. We tackled the fees in a couple of different ways. First, we’ll look at which fees are unavoidable but are good to understand. Then, we’ll move on to the fees you should avoid at all costs. Can you cancel products after you sign the contract? There are line items the dealership has to charge and disclose to you, according to state and federal laws. Most aren’t negotiable, but it’s still important to understand what each fee entails. Why they charge it: Many states have laws that dictate the dealer has to disclose what it charges for doing the paperwork. You will see “documentation fee” or “processing fee” listed as an item on your contract because no matter how you buy the car legally, there has to be paperwork. 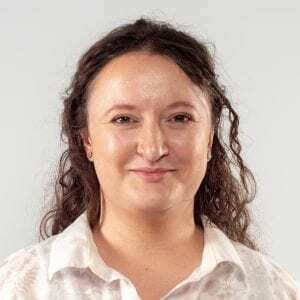 It covers the costs of several things, including: the actual paperwork (those 3-foot-long forms with multicolored carbon copies aren’t cheap) and the labor of the dealership employee who sorts, mails and files the paperwork with the accounting office, lender, state and local governments. Typical cost: Varies by state. Some states limit how much a dealer is allowed to charge. California caps this at $80 and Oregon limits it to $150, for example. Other states, such as Florida have no limit. And a several-hundred-dollar processing fee that you see for the first time on the very last two documents may shock you. How to negotiate it: Dealers are not willing to negotiate this fee, at least not directly. Because this is a standard fee, if the dealer makes an exception and lowers it for any one person (and the news got out), the dealer could then be liable to match it for everyone. What you can do, however, is negotiate it indirectly. If the documentation fee is $250, for example, ask the dealer to take $250 off the price of the car to make up for it. You could follow this link for more on how to negotiate car prices. Why they charge it: These are the fees charged by your state and local government. The dealership does not determine how much they are, but collects the fees from you and transfers them to the government. Think of it the same way a retailer charges sales tax on the state’s behalf. Typical cost: Most dealerships present these two government fees with the tax you have to pay and refer to it as one thing: TT&L (tax, title and license). The rule of thumb is that the total TT&L will be 8%-10% of the sale price of the car. How to negotiate: These fees are set by the state and are nonnegotiable. Why they charge it: It covers the cost of transporting the new vehicle from the manufacturer (or the port of entry if it’s a foreign car) to the dealership. It only covers the cost of transportation within the U.S. and federal law requires the fee to be the same for the particular vehicle model across the country. That stops car companies from charging whatever they want for the transportation and hiding it in the price of the car; it has to be a standard price across models and clearly disclosed. Typical cost: Typically $1,000. Dealers rarely include this fee in the advertised price of the car because it’s not considered as part of the MSRP, which could lead to a surprise when you see it on the paperwork. How to negotiate: Because the fee is dictated by federal law, it’s nonnegotiable. Note: There should not be a destination charge on a used vehicle. You usually have the same type of dealer fees for used and new cars, except for this. You should not have a destination charge on a used vehicle, unless you are getting it shipped to you specially. For example, if you want a car that’s at another dealership, CarMax will charge you a fee to have it transported from the other dealership to the dealership closest to you. Or, if you get a car online from a site like Carvana, there is a charge to have it delivered if you live outside of one of its urban, free-delivery centers. Why they charge it: A vehicle has to pass a state safety inspection before a dealer can sell it. Typical cost: It should not be expensive. Depending on your state, the safety inspection (and the emissions inspection if your state has it) can range from $7 (used car safety inspection in Texas) to $30 (safety and emissions inspection in North Carolina). How to negotiate: Because state inspection fees are required by the state, the prices are set by the state. You can’t negotiate this fee directly. Although you could try to negotiate indirectly, most people don’t because it’s such a relatively small fee. In this section, we’ll talk about some of the added costs dealers will try to tack onto your purchase — GAP insurance, extended warranty, credit insurance and others. You are generally not required to buy any of these things in order to get an auto loan, so don’t feel pressured to do so. Often, these aren’t fees for services — they’re products. If you look at fees when buying a car, these things should not be listed unless you specifically agreed to them. If you see any of these listed on the final buyer’s order or finance contract and you don’t know what they are, stop, because you’re about to buy them. Don’t sign anything until you clear up with the finance manager what these things are. Don’t be afraid to tell the dealer to take them off if you don’t want them. And you can check out these LendingTree tips if you’re a first-time car buyer (or a second-time car buyer — we don’t judge). For many of these products, if you do want them, we highly recommend you shop around for the best price, just as you would for the car itself and for the car loan. When you are ready to look at warranties, we have tips and an ultimate cheat sheet on how to find an extended car warranty. And when you’re ready to look at car loans, check out our auto loan marketplace, where, instead of filling out five forms, you can fill out one online form and get up to five potential auto loan offers. GAP, warranties, insurance and most intangible products are cancelable. So if you go back and look at your auto contract and find these things, you can usually cancel them even years later. You might not get all of your money back because insurance products and warranties are prorated. So if the insurance you unwittingly bought was for three years and you’ve already had the car for a year, you’ve used up a third of the insurance and will only get two-thirds back. If you do cancel, how you get the money back might differ, depending on the state and whether you still owe money on the car. For example, in Texas, any cancellation money goes to the lender and comes off the total amount you owe. So you owe less, although it does not decrease your monthly payments. But if you own the car outright in any state, you should get the refund sent to you as a check. What it is: GAP can go by many names: Guaranteed Asset Protection, Guaranteed Auto Protection, total loss protection, debt cancellation and debt suspension. It is optional if you’re purchasing a vehicle, but it’s usually included in a lease. No matter what it’s called, it helps pay off what you owe on the car if it is totaled. This is because your regular auto insurance company doesn’t base how much they give you on what you owe, however — it looks at the car’s current value and pays a percentage of that according to your insurance agreement. For example, if you owe $27,000 for your car, but it was worth $25,000 when you totaled it, your insurance company might pay $21,000 of that. Then the extra $6,000 is what GAP might cover. If you did not have GAP, then you would still owe the $6,000 to your lender and have to make payments on it even though you no longer have the car and might need a new car. Typical cost ranges from $299 to $1,000+. The price of GAP can go up with how much you’re borrowing, but the biggest reason for the price range being so dramatic is where you buy it. Dealerships sell it for as much as they are allowed to. But other places, like credit unions, sell it for a flat amount. There is also GAP insurance, which offers a lot less coverage, but is cheaper. For example, the Allstate company, Esurance, will pay up to 25% of the actual cash value of the car; whereas regular GAP (also known as “true GAP,” and GAP waivers) cover over 100% of the actual cash value. When to avoid it (or consider it): If you know your insurance company will more than cover the entire amount of what you owe on your car, then you don’t need it. A lot of people, however, owe more than that and GAP could be useful. Where to purchase GAP: You do NOT have to purchase GAP at the dealership. You could get the same type of GAP from your lender to cut out the middleman or get a different type of GAP (which offers less coverage but is much cheaper) from your auto insurance company. And this gives you bargaining power. Telling the dealer you know you can get it for $299 down the street is a great way to get them to drop the price. What it is: There are a few different types of credit insurance products used in the car selling industry. In all of them, you pay a specified amount and then if you pass away, get sick or get laid off, they help pay for your car. Credit life insurance. If you still owe money on your vehicle and you pass away, the person whom you leave the car to will get the car — and the car payments (if your assets weren’t enough to pay it off). Credit life pays the car off if you die so whoever receives it won’t also receive the debt payments. Credit disability. This makes car payments for you if you can’t work; it’s disability insurance for your car payment. There is usually a time limit on this, such as three months to a year, depending on whether it is short-term or long-term credit disability. Credit insurance for loss of employment. This also makes your car payment for you, but only if you involuntarily lose your job. It may only make your payment for a certain number of months and it may have a limit on how many times you can make a claim. Typical cost: This varies depending on the provider, your age and the vehicle you’re getting. When to avoid it (or consider it): If you already have a life insurance policy, it might cover your car. And there’s usually a low chance of you using the insurance. Like any insurance, odds are you buy it and nothing happens. These insurances also limit who may buy them. So if you’re above retirement age, been diagnosed with an illness or are already injured, you probably won’t qualify to get them in the first place. Where to buy it: If it is important to you, shop around for it. See if your current insurance company offers it and lets you bundle it with your other insurance for a cheaper price. Check online to see which companies have a good reputation or consider upping your current life insurance so it will cover your vehicle. What it is: This pays for the cost of labor and parts to fix certain things on your car if they break within a certain amount of time and miles. How long it lasts, what it will fix and any extras like roadside assistance and rental cars depend on the warranty (which is also called a vehicle service contract). Typical cost: How likely a vehicle is to break and how much it would cost to fix are the main factors that go into determining a warranty price. A seven-year, 100,000-mile warranty for “basic coverage” on a Cadillac SRX can cost $1,700. A shorter warranty for the same coverage on a Corvette can cost $5,000. When to avoid it (or consider it): If you’re getting a car with manual locks and windows you have to roll up by hand, you probably don’t need one. If you’re getting a car with a souped-up engine and a foot-wide touch screen, you might want to consider it. It is exceedingly rare that you would be required to purchase an extended warranty in order to secure financing. If a dealer tells you that you have to get a warranty in order to get an auto loan or a low APR on an auto loan, ask to see the requirement in writing. Chances are you do not have to buy it and the dealer is trying to make money. Where to buy it: If you want one, you don’t have to buy it from the dealer. There are several warranty companies that can sell to you directly. 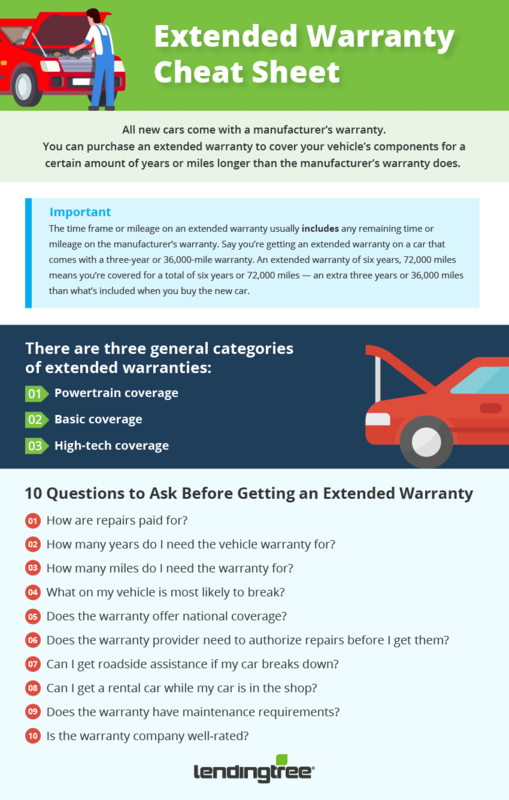 For more information, check out our guide on how to find an extended car warranty and the ultimate warranty cheat sheet. If you don’t know what it is, ask. If it sounds fishy, it probably is. These types of fees are a way for a dealership to nickel-and-dime you, though the amounts are more likely to be in the hundreds instead of a few cents. These are dealer fees to avoid. A dealer preparation fee is a charge for the dealer cleaning and getting the car ready for sale. If the car is new, this is minimal work. It should be a part of the dealer’s cost of business, not something directly siphoned off on you. If you see it, challenge it. An appearance package is when a dealership or retail store bundles two or more car products meant to make the car look better or stay cleaner. Most dealerships offer these as add-ons for their cars. They are usually optional for each car and can include everything from window tint to anti-theft devices. We say “usually” because some brands put an appearance package on the higher trim car models as a nonoptional upgrade. If the car does have it as an add-on and you don’t want to pay for it, look for one without it. Here’s a list as to what some appearance packages include and some questions to ask both yourself and the salesperson. If you look at the wheel of a vehicle, you should see four to five smaller circular metal pieces evenly spaced around the center. These are the lug nuts and they’re almost always a standard size so you can take your wheel off and replace it if you get a flat tire. The problem is anyone can go to Walmart, get a standard tool and then steal your wheels when you’re not looking. You can use wheel locks by replacing one regular lug nut on each wheel with a special wheel lock lug nut, then keep the tool that comes with the wheel locks in the car so you’ll be able to undo them yourself and change the tire if you have to. Do you need them? If this is the first time you’ve heard about people stealing tires, then you probably don’t live in or visit an area where this is common, so it may not be too valuable to you. How much are they? You can get them for about $20 online. If you want to get a specific brand of wheel locks to match your car brand, you can expect the price to double. Ever run over something on the road and start cursing? Tires can be expensive and wheels or rims, the metal part supporting the rubber tire, can be even more expensive to replace if they get bent. A tire-and-wheel warranty pays to patch, fix or replace your vehicle’s tires or wheels if they are damaged from a road hazard, such as nails, boards or other things you might run over. Do you need it? Even though it can be annoying on the rare occasion you get a flat tire, it’s usually just that — rare. However, if you work in construction where there can be lots of nails, wires, lumber and other things that could do damage are common, then it may be worth your while to consider one. How many miles or how much time does it last? Some policies are for an unlimited amount of miles over three years; others may only last for 36,000 miles. How much is it? If the policy is $500 for three years, unlimited miles and a normal tire patch costs $10, then you may not have a chance of getting your money’s worth from the policy. Are there restrictions? Some policies will not cover the damage if it was due to driver error. For example, if you ran over a curb and bent the rim, it would be considered driver error, not an unavoidable road hazard and might not be covered. Also, would the policy replace the tire with the cheapest option available or something more comparable? Who pays upfront? Ask if the company pays for it directly or if you have to pay the full bill upfront and then submit paperwork for reimbursement. It might be that the policy will only pay for it directly at some partnered chain stores. This is a film put over car windows to provide more privacy inside the car and to reflect sunshine, which keeps the light from bothering passengers, keeps the car cool and protects the cloth or leather inside the car from sun damage. Does the car already have window tint from the factory? If the car already has it, you shouldn’t have to pay for it as a line item — it should be included in the MSRP. Sometimes the car will already have window tint and the salesperson will tell you that the new window tint they’re trying to sell you is better quality. This may be true. It could also be that the shadier businesses plan to take your money, without really changing the tint and giving the car back with no difference. Make sure you know about the tint you already have — if it’s good enough for your needs, why pay to change it? What brand of window tint is it? There are different brands of auto window tint, from the very cheap to the top dollar. Make sure it’s a company, such as 3M, that is highly rated so you know the tint is polarized (it will keep your car cool) and won’t scratch off (especially if you have children in the back seat). How much is it specifically? Don’t let the salesperson tell you it will just add $5 to your monthly payment. That $5 over 72 payments comes out to a total of $360, plus interest. Who will install it? Will a true professional install it or will the dealership car wash detailers be the ones sticking it on? You want a real professional to do it so there won’t be any bubbles or scratches on it. Where could you find it cheaper? You may find out that the auto detail shop down the road will do a quality window tint job for half the price. Do you want or need it? If you park in a shady spot, live in a cooler climate and wear sunglasses, you probably don’t need it. But if you live in the hot and sunny South where shade is hard to come by, you might want to consider it. How dark is it? Different states will have different laws as to how dark window tint can be. Many mandate that the front two windows in a car and the windshield can’t have tint, or must have lighter tint so the driver can see well. Some dealerships have a default for window tint — they order it as dark as legally allowed on each window. Other dealerships might offer you options so you could choose how dark or light you’d like it. What warranty comes with it? Does it have a warranty that guarantees the tint won’t bubble up and discolor for a few years? If it does, how long does it last and how would any problems be addressed? All of these products are made to protect the appearance and long-term functionality of the vehicle. Whether they are worth the money depends on how much they cost, how long you’ll keep the car and how you use your car. What’s the price? Whatever you do, do not buy a paint sealant at the dealership for $4,000. You can get a gallon-sized auto paint sealant kit for $100 if you’re up for doing it yourself, or professional detail shops from coast to coast start their prices at under $300 for the same thing. If you’d really like one or more of these, shop around for them. A couple minutes of internet research could save you a few hundred to a few thousand dollars, no joke. When should it be done? If you do want one of these, when you should put it on your car — as soon as you buy it or in a few years? Because these products are in the business of prevention, they can’t prevent what’s already happened. Paint sealant can’t stop tree sap from eating into your car’s paint if you apply it after the fact. Generally, the sooner you apply them, the more wear they can prevent. How long will you keep the car? Answering this question will help you determine if you’d like to get one of these things in the first place. If you’re planning to keep the car for a long time, these products could make a difference in keeping the car functioning and looking new for a lot longer so you’ll get more value out of it, whether that value is years added to using the car or the car being worth more when you trade it in or sell it. What’s your environment like? If you live in a place where the sun, tree sap or salt will eat at your car’s paint, then paint sealant might be good for you. If you have young children or you tend to drink coffee and eat fast food on the go, then fabric protection might be good. And if you live in a place with a lot of water and/or salt, then rustproofing/undercoating might be useful. If none of these apply to you, then these products probably aren’t useful. What type of warranty comes with it? Depending on the type, brand and quality of the product, many come with a warranty for two to 10 years. Note, however, that most new vehicle warranties cover against corrosion for the first couple of years without you buying any type of extra product. There are many different vehicle theft products on the market. Most fall into three categories: passive, active and insurance. Here’s an explanation of each and the more popular products. Passive deterrents. VIN etching is considered a passive deterrent. It doesn’t beep, blare or tell the police where your vehicle is. Instead, it’s your Vehicle Identification Number (which is unique to each vehicle) that is etched on the windows, which simultaneously makes it easier for the car to be identified and returned if stolen, and harder for thieves to sell. Active deterrents. These include services like OnStar and LoJack, where a device is installed in the vehicle that allows the company to track the car. So, if it is stolen, the police will be able to find out where it is. Some companies may be able to prevent the thieves from turning the car on again once they park it or disable the vehicle in coordination with the police, forcing the vehicle to gradually slow down and stop. Theft insurance. This is exactly what it sounds like. It’s an insurance product that pays a specified amount if your vehicle is stolen. It is not theft prevention; it’s just more insurance. What does your auto insurance already cover? If you have comprehensive auto insurance, many insurance companies will consider a vehicle as a total loss if the car is stolen and not recovered within 30 days. As a total loss, the insurance company will issue payment to you or your lender, depending on your policy and the car’s value. Price check — could you get it for free? Across the country, local sheriff offices offer VIN etching for free. They may only offer it on certain days and you may have to provide your vehicle registration as proof of ownership. And if you’re looking at insurance or active deterrents, shop around to compare prices. Does it decrease your auto insurance? If you do get an active or passive theft deterrent, tell your auto insurer as it may decrease your payment because you decreased the risk of a total loss by theft. If you’re not sure what a fee is, ask. Don’t be afraid to hit the brakes and take two seconds to ask what it stands for. Those two seconds could save you a couple hundred dollars (or more). And if you don’t trust whoever provides the answer, look it up online. Do this before you sign because once you sign and drive off, it could be considered a done deal. How Much Money Should You Put Down on a Car?